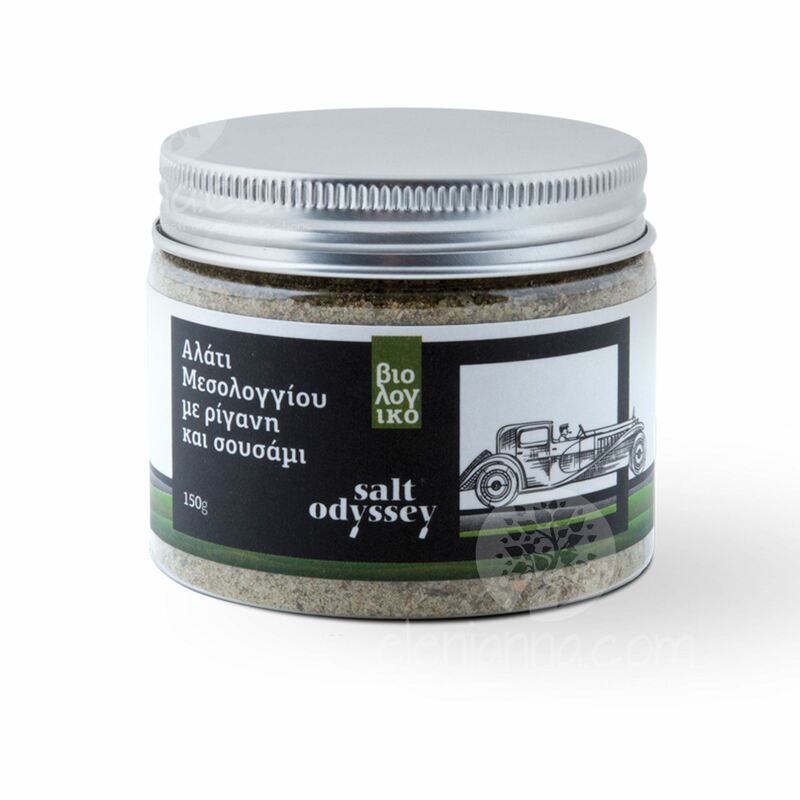 Ingredients: Pure sea salt from Messolonghi 90%, sesame from Evros 5% and organic Cretan herbs (oregano, thyme, spearmint) 5%. Use: Use it in cooking instead of broth cubes or flavor your salads, pasta or potatoes. Description:A superior clean, fresh and certified organic sea salt combining the aromatic flavors of the Mediterranean herbs with the fantastic taste of the grilled sesame seeds. Awarded with platinum medal at Olymp awards 2016 as well as 1 star at Great taste awards, this versatile and delicious salt will be your best friend in the kitchen.